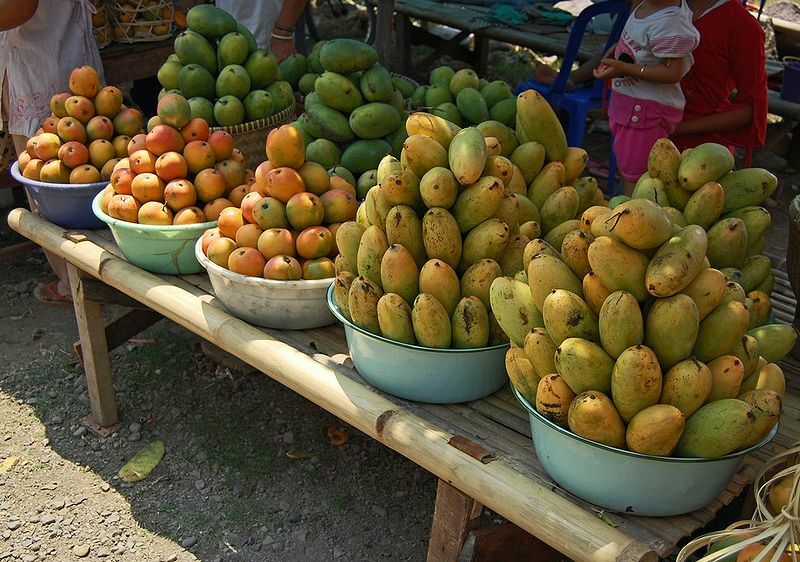 Welcome to the Mangifera indica website, commonly known as the mango! This tropical fruit, native to India, is relied upon for daily nutrition in many developing tropical nations. 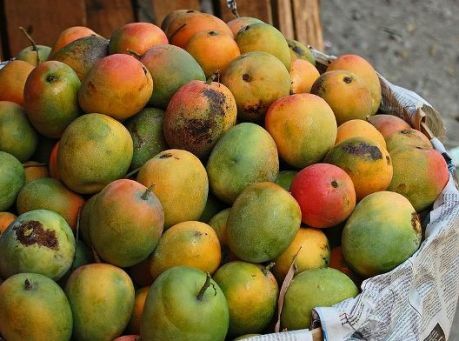 Due to this and worldwide demand, the mango is the 5th most produced fruit crop in the world and is second only to the banana in quantity and value. The mango grows on evergreen trees which can reach up to 15-30 meters, or 30-100 feet, tall. Mango trees can live for hundreds of years and continue to produce fruit at 300 years! Unlike some fruits, the mango is an egg-shaped drupe, meaning it consists of a single large seed covered with flesh and a leathery outer skin. Typically, mangoes range from yellow-green to red skin and their flesh varies greatly in taste depending on variety of mango. The Alfonso variety, cultivated primarily in India, is the leading commercial variety in the world. Mangos are an important organism due to various interactions with other species. Not only can humans and other species utilize mangos as a source of nutrients, mangos have also proven to contain medicinal properties. But, before these interactions are discussed, let's explore the classification of Mangifera indica. Interested in seeing more student websites? Visit www.multipleorganisms.net. Also, visit the University of Wisconsin-La Crosse homepage at www.uwlax.edu!